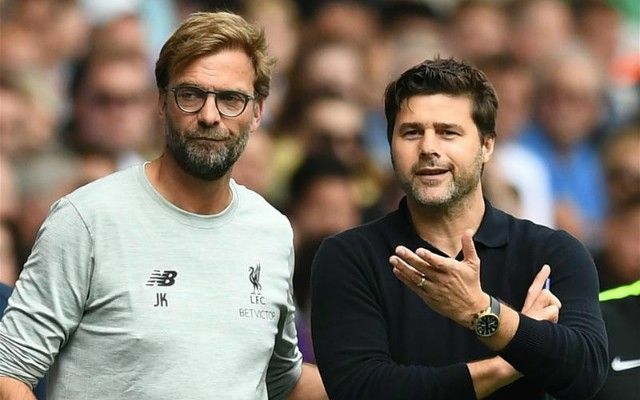 Jurgen Klopp was happy to weigh in on the current debate surrounding Mauricio Pochettino’s recent comments about the top four being much more of a priority than domestic cup competitions. The Spurs boss angered fans by fielding weakened teams against Chelsea in the League Cup and Crystal Palace in the FA Cup and crashing out of both – before declaring winning domestic cups is merely an ‘ego boost’ and Champions League qualification actual success [Independent]. Klopp though supported what the Spurs boss said – stating that winning English cups is a short-term success than doesn’t necessarily breed it long-term. “If you win silverware one year and then finish eighth the next year, no-one talks about the silverware anymore. At a club like Liverpool, we always have to go for everything. The best case-study in recent years is Arsene Wenger. The former Arsenal boss won three FA Cups on the bounce and was still harangued by Gunners fans who were angry their side wasn’t doing more in the PL. You have to ask yourself, would Liverpool beating Manchester City in the League Cup Final during Klopp’s first season (we lost on penalties) be part of any analysis about his genuine achievements as our boss? Maybe – but it wouldn’t have kept him in a job if we were not doing the business in the big competitions. Just ask Sir Kenny Dalglish.